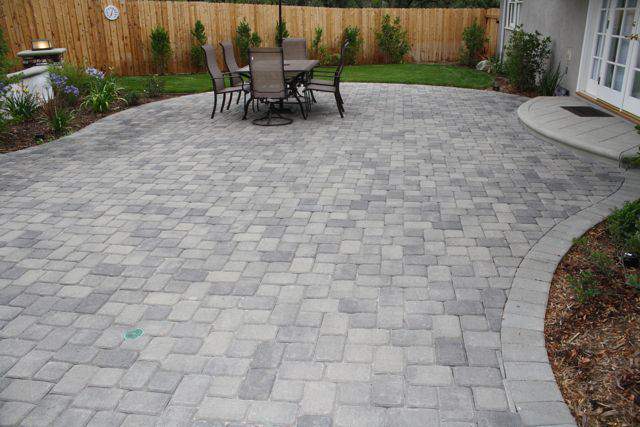 There are several design options you can choose when opting for interlocking pavers. From hexagonal and herringbone to diamond shape designs, you will always find something to suit your tastes and needs. Interlocking pavers designs can be altered to create a formal or casual design based on your style. You can even use a combination of different designs, sizes and thickness to give your interlock driveway or patio a unique custom look. Interlock pavers come in different shapes, sizes and colors with a thickness depending on the purpose of application.The unique patterns made using different colors and shapes allow you to creatively design. You can also benefit from delineation of areas like pavement, parking lanes, intersections and cross walks. This will add more value to the real estate. Paver colors also tend to convey a message or suit a theme. For instance, light color pavers lend a cooler feel around pool decks and patios. On a long term basis, interlocking stone pavers fall to be less expensive than other types of flooring like granite. When you think about the cost saved in replacement and maintenance, interlock pavers provide an economical long-term deal in comparison to other pavement types. Manufactured to suit tight dimensional tolerance, interlocking stone pavers are stronger than the regular poured concrete flooring and thus, are more durable. They can be used till several years and decades but their superior quality does not get affected by the extreme pressure, frost, heat etc. Each unit of interlock has joints that enable a small amount of free movement without leading to cracks. Unlike concrete surfaces, it allows for contraction and expansion minus the surface cracks. So chances of any damage are rare. But, in case of a crack after severe wear and tear, the system is very easy to repair. The tiles can be individually replaced without much problem, unlike concrete where you need to demolish and replace an entire slab altogether. Also, the costs involved in individual tile replacement for the same reason are very low. Materials like Concrete, Stamped concrete and Asphalt can't make such claims. Interlock is weather-resistant and easy to maintain all year round. It is durable even during winter, rain and snow. Interlock pavers are popular due to their versatility. They can be used in both commercial as well as residential settings, including surface coverings for parking lots, driveways, promenades, pool decks, sidewalks, walkways and patios. Interlocking paver manufacturers ensure that the pavers remain strong and aesthetically attractive as they offer so many valuable applications across exteriors. These pavers are safe for pedestrian and vehicular applications as they offer a non-skid surface.They also putrain and storm water to good use by allowing it to seep into the grounds, instead of sending it onto the streets and into the drains.